There was a huge thunder storm coming through (you can see the edge of the thunderhead at the extreme left side of the photo) and this was the tail end passing. I took this right after the sun actually set behind the clouds and the cold blue clouds in the foreground were overhead. 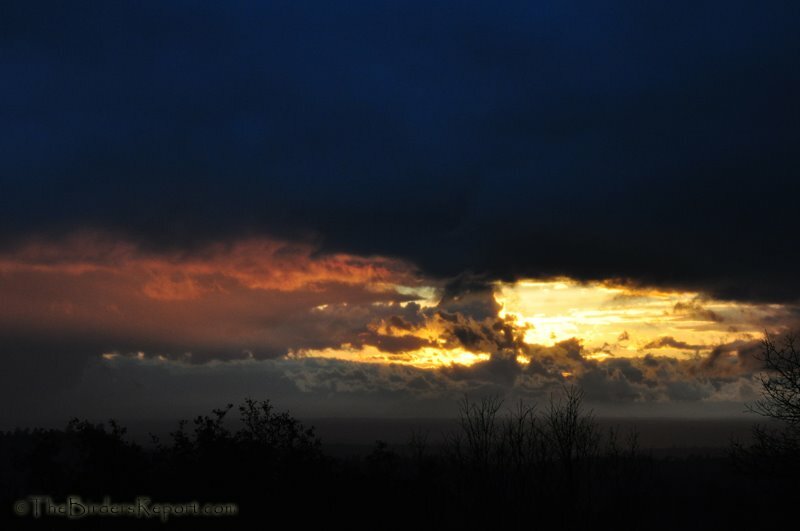 I liked the way the last splash of sunlight came through and turned the mid sky orange and yellow. 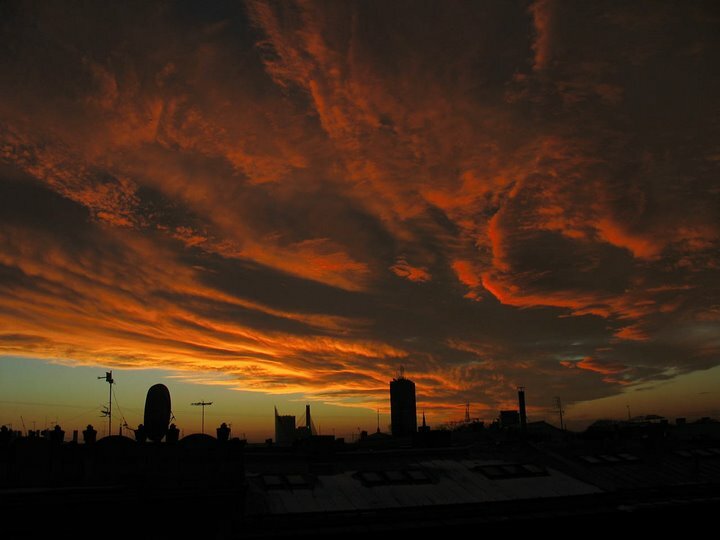 here is my photo of Sky over Riga during winter sunset. 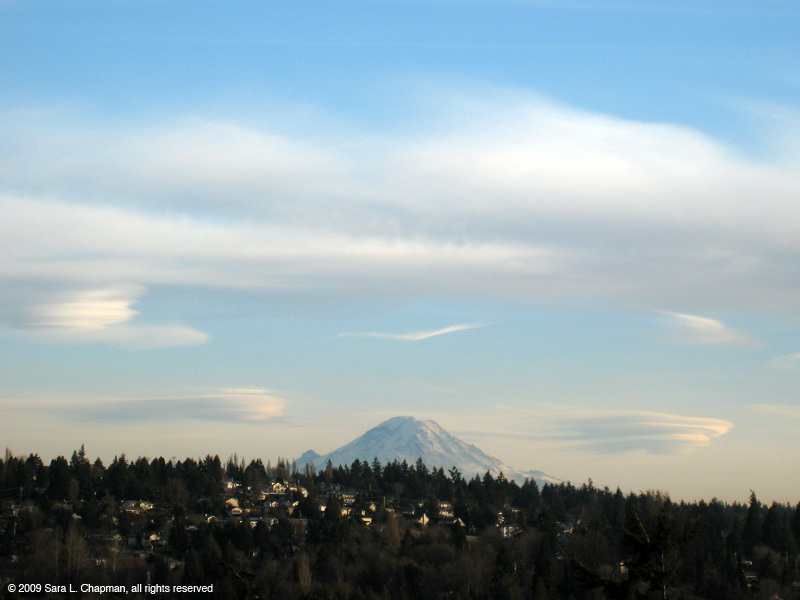 This lenticular clouds photo was taken in January of this year, from about two blocks from my house, south of Seattle. These cloud formations are sometimes called Flying Saucer Clouds and often presage rain. That is Mt. Ranier that they are decorating. 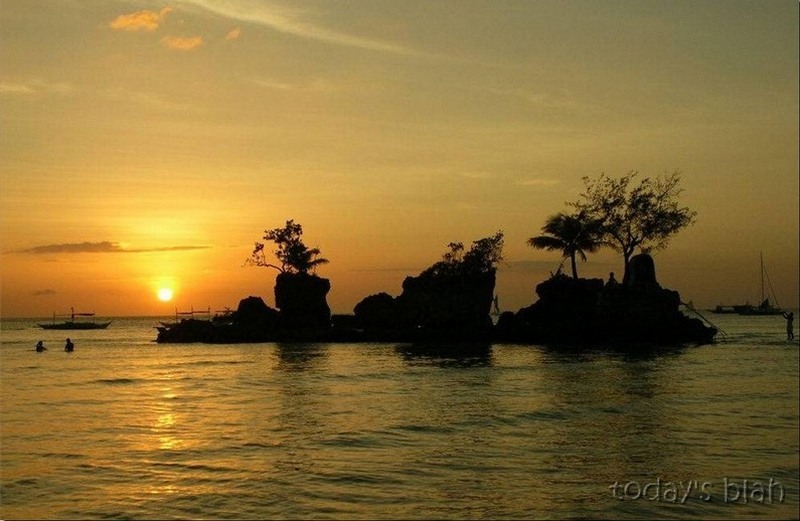 A splendid sunset in Boracay Island, another heavenly "must-visit" place in the Philippines.